When Alex Heilbrunn decided to take the leap from the Formula Drift Pro-Am ranks to the national Pro 2 Series, he knew he needed to have a top-level team behind him. Teaming up with Race Tech Services (RTS) for trackside support in the 2015 Pro 2 Series, together he and the team earned a trio of podium finishes in the four-event Series along with three consecutive top qualifier awards. While the car had initially been built by another shop, RTS came in with a crew chief, mechanic and spotter to allow Heilbrunn to focus on driving. 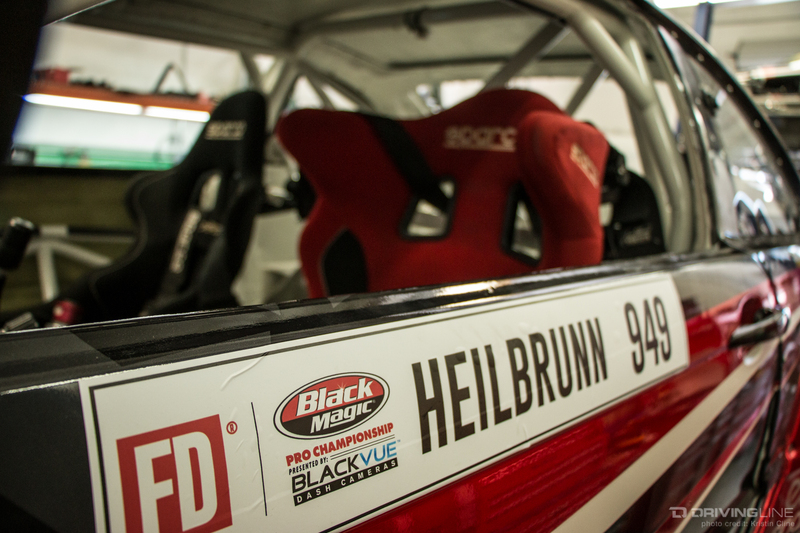 With that focus solely on the steering wheel and judging criteria, Heilbrunn dominated the Pro 2 series and had the series championship locked up after just three events, which allowed the team to have a bit more fun and gel as a team at the final event. 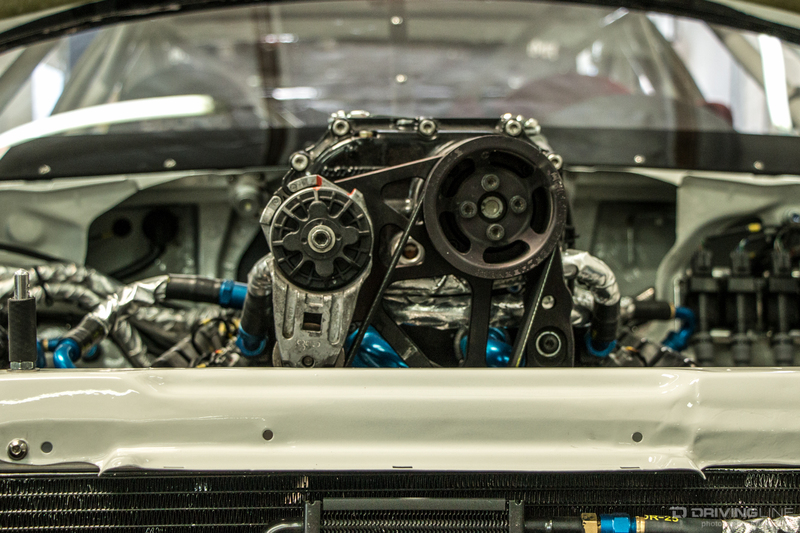 For the 2016 season, Heilbrunn and the RTS team started discussing a plan to refinish the Pro 2 car in preparation for the top Formula Drift Pro Championship Series, and the team got to work just a few weeks after the end of the season. 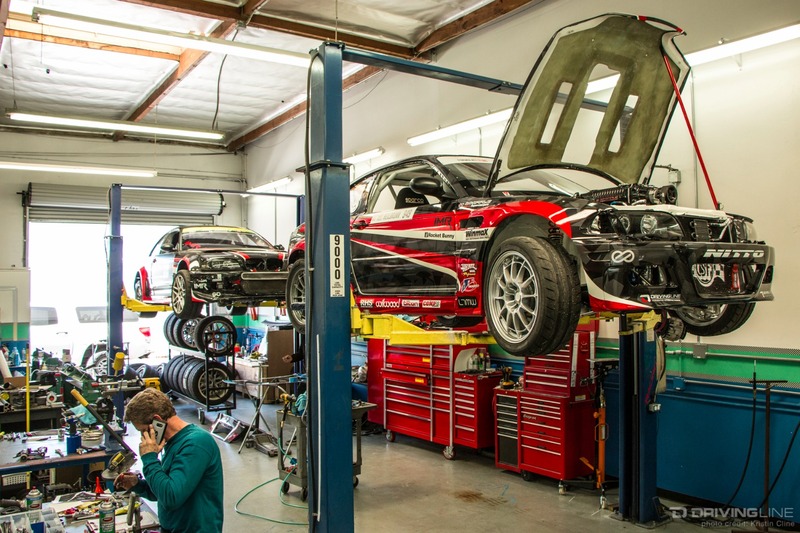 RTS owner Rick Lamber Jr. and his team decided that the E46 chassis had good bones for the top level of drifting in the U.S. but would need a full refresh to be able to compete at the next level. As a single season solution, Heilbrunn’s Pro 2 E46 chassis was gutted down to the shell and re-prepped with a new stiffer cage, better designed weight balance and tubular front and rear clips to help ease trackside repairs in the event of a collision. Several cars in the top level of the series are noted for having rear-mounted radiators, but in the interest of reducing the "pendulum effect" of having the weight too far rearward and making transitions unpredictable, Lamber and his team moved the radiator a bit further forward in the chassis. A handful of other changes were made to the weight balance of the car, including lowering the mounting point of the engine by an inch. Every pound of weight was also carefully plotted and planned to keep the balance as central to the car as possible. Many of the suspension components and geometry from the winning Pro 2 season were kept as-is to ensure familiarity to Heilbrunn as he prepped for an eight-event, seven-month-long season — a substantial step up from the four-event season he had competed in previously. In his first year at the Pro level, Heilbrunn earned his first podium just four events into his career with a third-place finish in New Jersey. 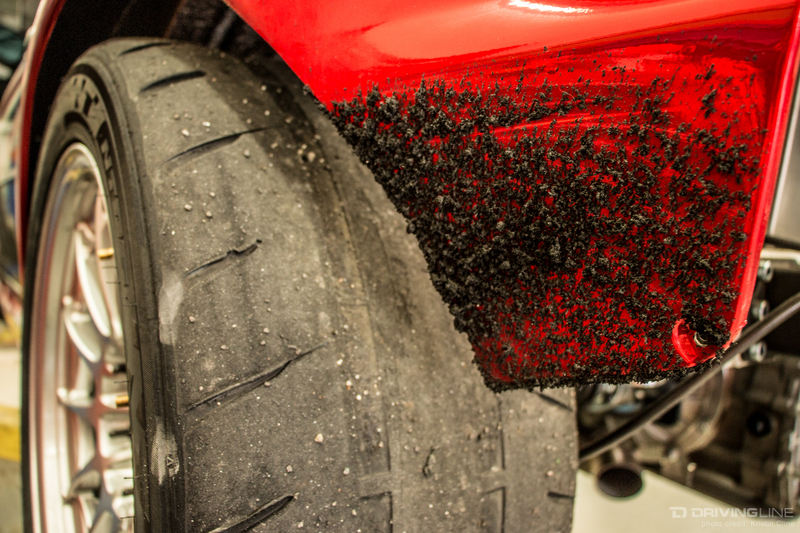 He went to multiple "One More Time" rounds with top Nitto driver Vaughn Gittin Jr. both in Orlando and New Jersey. Gittin Jr. mentioned in one of his post-race interviews that his battles with Heilbrunn were some of his toughest of the entire season, giving some extra motivation to the team in preparation for 2017. Heilbrunn locked up the 2016 Rookie of the Year honors, and just hours after the final event was finished, plans for the 2017 season were put into motion. In an effort to evolve from the RTS-001 chassis as it was labeled in 2016, Heilbrunn didn’t want to make any major changes to the balance and feel of the car. A new RTS-002 chassis was prepped with some specific changes to car configuration and layout mapped out ahead of time. The rear-mount radiator was moved even further inward, and the engine was lowered an extra half inch for 2017. 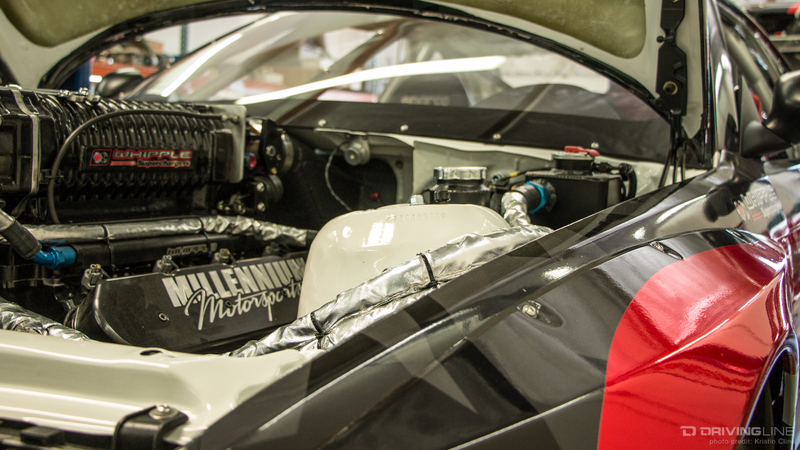 Both the fuel pump and dry sump setup were configured to offset the driver weight, and the intake for the supercharger was routed under the dash. Airflow, cooling and weight for all components were carefully planned out, resulting in a substantially stiffer chassis with a much cleaner appearance overall than previous cars. 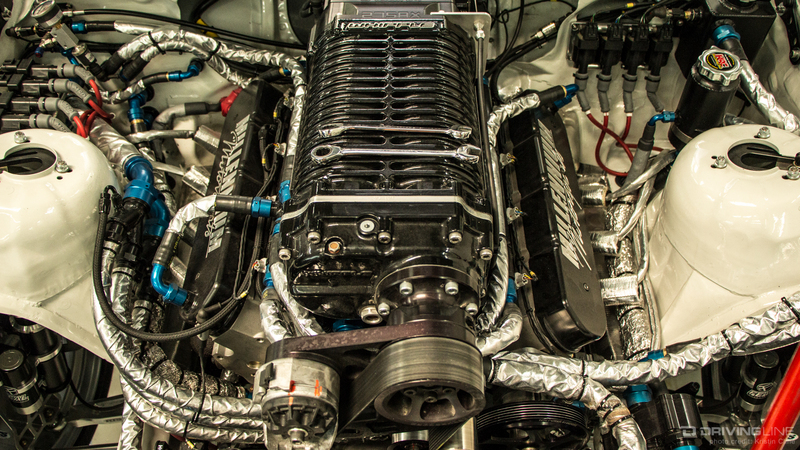 Under the hood, RTS built their own mounts for the aluminum 7.4L LSX engine that was assembled by Millennium Motorsports in Temecula, California. 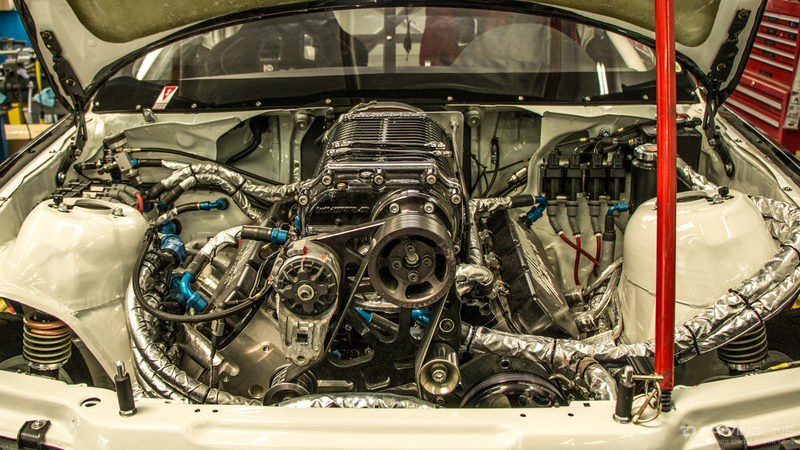 The engine started with an RHS high performance block and upgraded with Comp Cams and JE Pistons. 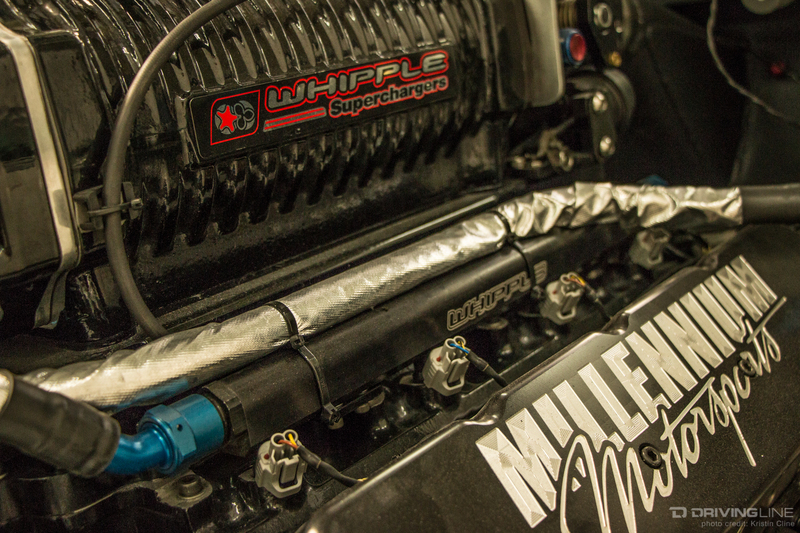 Power was bumped up with a Whipple 4.5L supercharger, while cooling was handled via the rear-mounted CSF radiator. 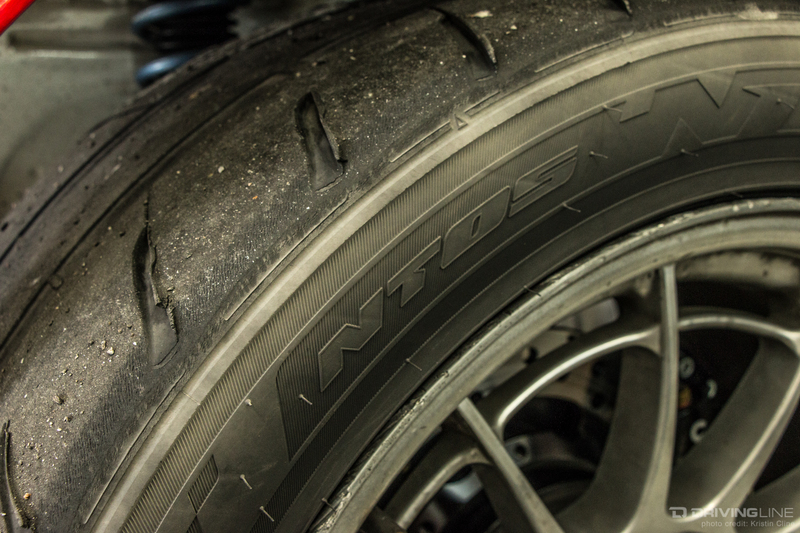 All the power is pushed through an ACT clutch, while gears are selected via the RTS 4-speed dog box. The transmission spins a custom Driveshaft Shop driveshaft before the Winters Quick Change rear end and Driveshaft Shop axles push the power out to the rear wheels. 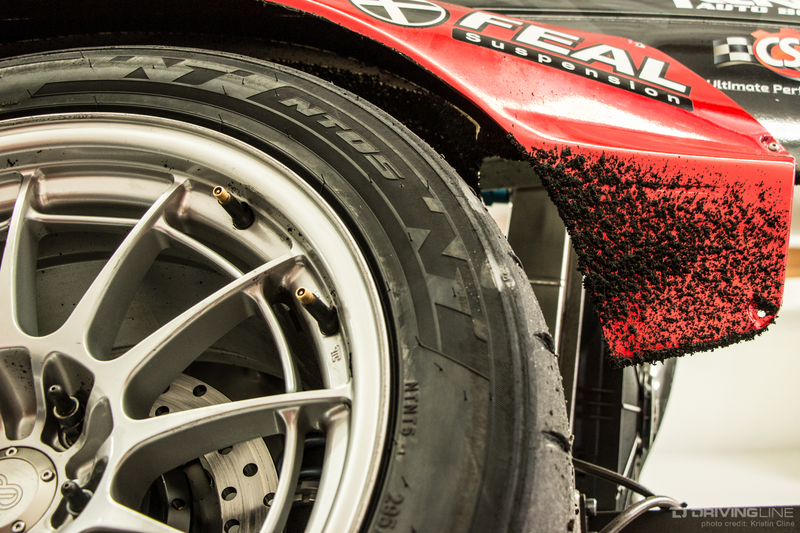 One of Heilbrunn’s longest sponsors has been Enkei Wheels, who provided a full entourage of Enkei NT03+M wheels that were wrapped in Nitto NT05 rubber at all four corners. After all is said and done, the RTS-002 chassis “Monster BMW" pushes out 1,000 horsepower and 1,000 lb-ft of torque to the rear wheels, which puts Heilbrunn on par with the top cars on grid from a power perspective. 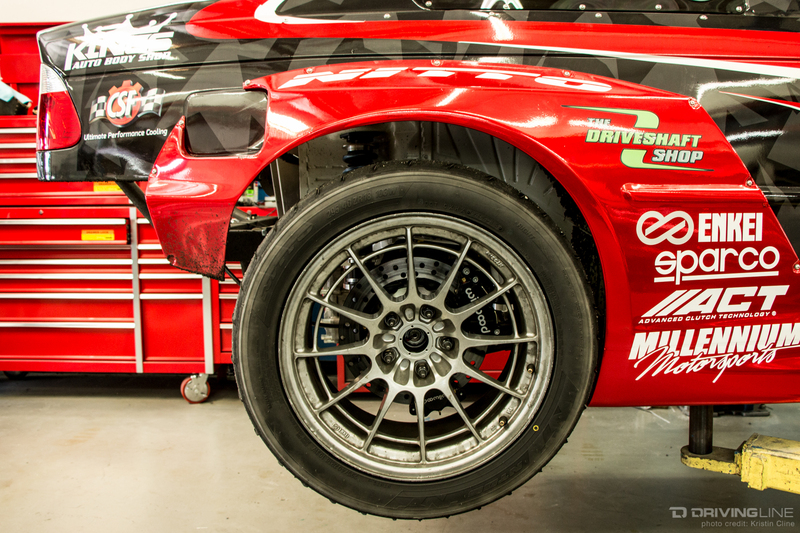 While power is one of the most commonly mentioned components necessary for staying competitive in Formula Drift, suspension has become equally, if not more, important over the past few seasons. Steering angle and forward grip have also become paramount to success in the Series, and Heilbrunn’s chassis is no different. 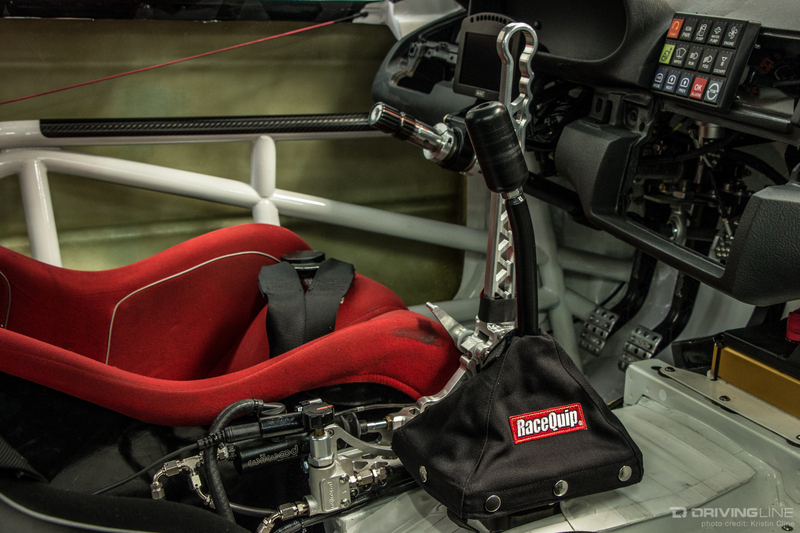 After running an off-the-shelf steering and suspension arm solution for the past two seasons, Heilbrunn and Lamber decided to work on their own solution for the 2017 season. Many hours were spent modeling potential options in CAD before the final design was selected and machined out of aluminum, but in the end, the RTS-FDE46 suspension arm and steering kit proved to be a far superior design than anything else on the market. Heilbrunn and Lamber plan to co-brand and market the kit together this season, truly showing just how close the driver and crew chief have become. For the Long Beach round, Heilbrunn only ran the front spindles and steering setup, while a rear spindle setup should be finalized in time for the upcoming Orlando round. 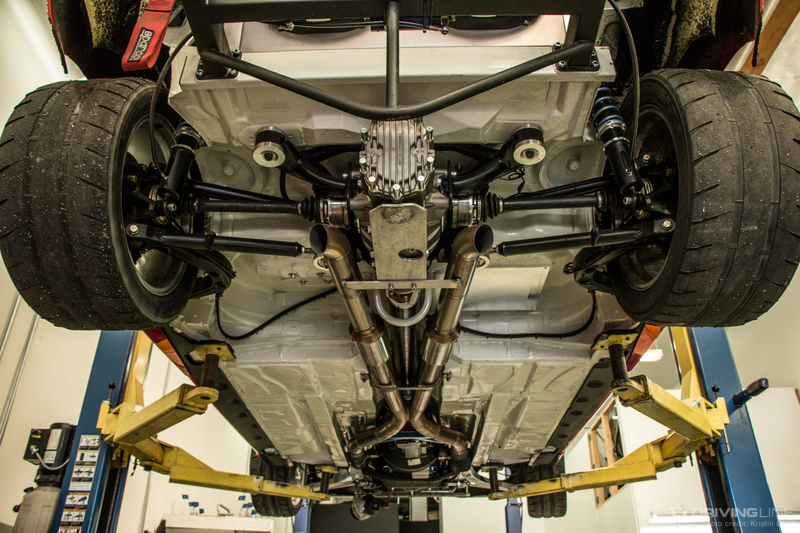 Assisting with the RTS configuration, a set of custom-valved Feal 456 coilovers sit on each corner, while the KRC Power steering pump and cooler help transfer the steering inputs from Heilbrunn to each corner. The setup has only been installed for a single event, but Heilbrunn is already raving about the improved steering feel, and the podium finish speaks for itself as far as results go. 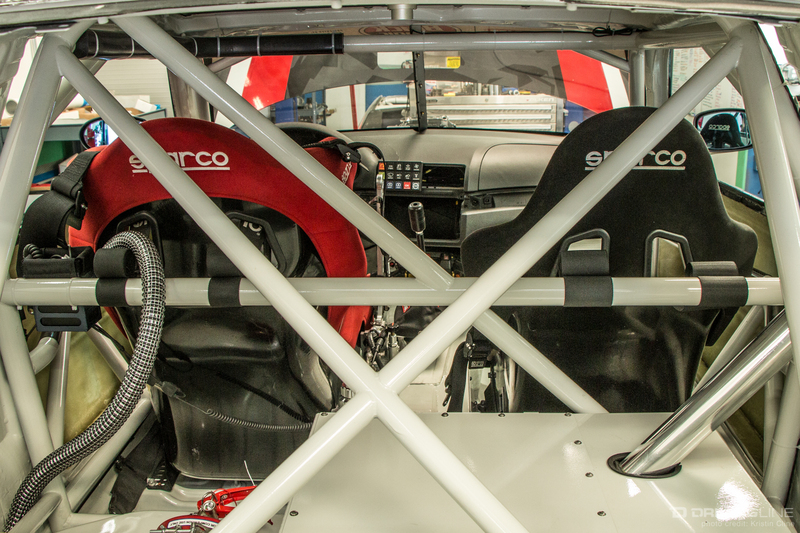 Inside the cockpit, Heilbrunn utilizes a full array of Sparco safety equipment, including driver and passenger seat, steering wheel and five-point safety belts. He doesn’t enter the car without matching Sparco fire suit, fireproof gloves and HANS-equipped helmet — all requirements for the entire Formula Drift grid. Throttle inputs are pushed through a Tilton throttle pedal, while braking and clutch inputs are taken care of by a Wilwood pedal box. 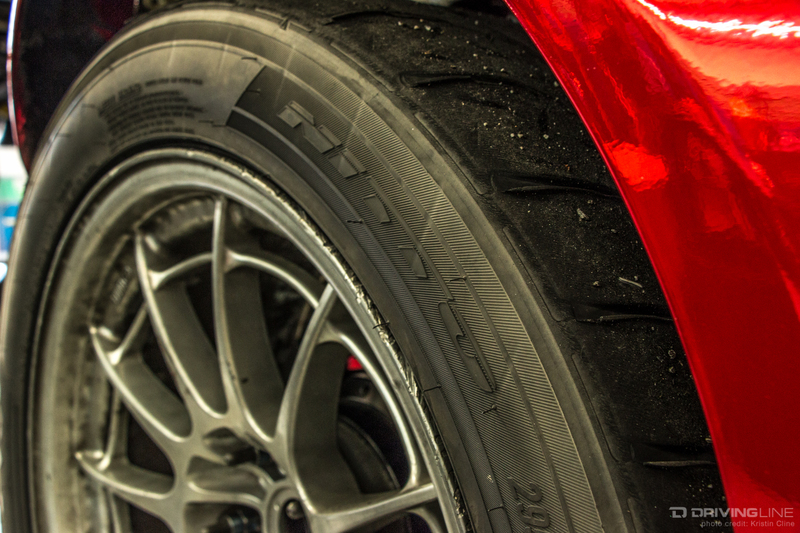 Wilwood 4-piston brakes sit at each corner of the BMW, including an additional caliper in the rear which is connected to the hydraulic e-brake that is used to initiate drift. Outside the car, Heilbrunn maintains the same black base coat color that he has used on each of his previous cars, but the body styling has been upgraded this year with a Rocket Bunny / Pandem kit. The boxy flares imitate the style of the original E30 M3 lines that have become synonymous with the Bavarian automotive company, while both bumpers flawlessly merge the distinctive Pandem front and rear bumper openings with the BMW body lines. Kings Auto Body took care of the paint work, and a custom red and silver graphical livery helps accent the sponsors with style. Overall, Heilbrunn’s Monster BMW is one that is both distinctive and functional. The new chassis has already proven to perform at the top level of Formula Drift, and he believes that the best is yet to come with this car. After the rear suspension upgrades get installed and fine tuned, Heilbrunn hopes to be a championship contender by the end of the season. While his final round appearance in the car's debut at Long Beach, he doesn’t seem to be too far off from that goal already! Browse through more shop photos in the gallery below.